On Triple M Saturday NRL, we opened the phone lines an allowed listeners to call through and give their opinion on Israel Folau's potential return to the NRL. Things got a little heated in the Triple M Studios with many divided over if he should be allowed to return, after looking-likely to be sacked by Rugby Australia and the NSW Waratahs for his controversial social media posts. 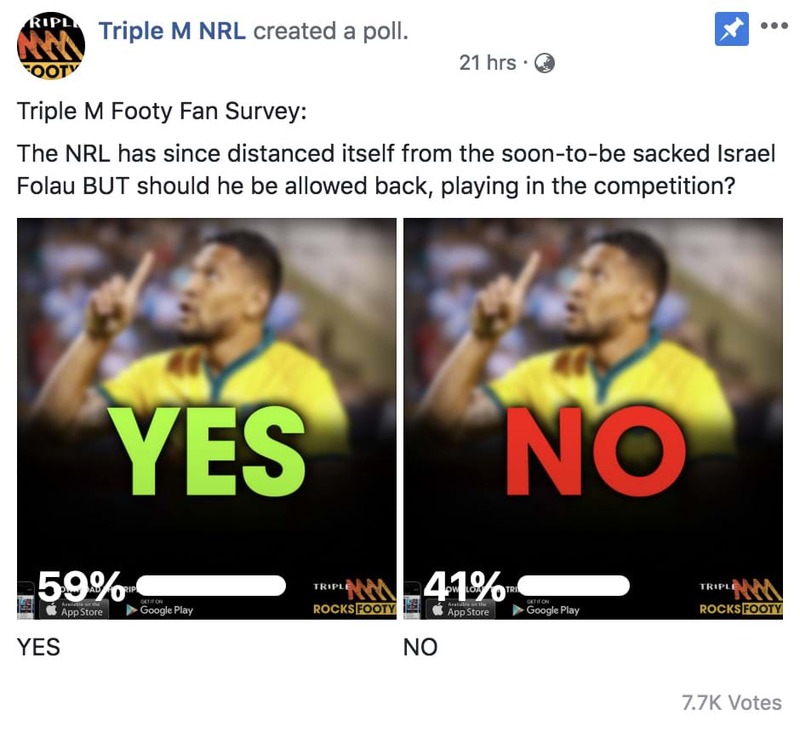 The Triple M Footy Fan survey, run on the Triple M NRL Facebook page, saw nearly 8,000 people vote on if Folau should be allowed to return to the NRL. Almost 60% of voters believe he should be allowed to return.